This chapter of our guide will provide you with statistical insights and facts about the adult student population in the United States and around the world. It will help you to gain a sense of the strength of the adult student body and give you the necessary encouragement to make the decision to enroll in an academic program. There has been a marked increase in the number of adult students enrolling in college programs across the country in the last 10 years. It all started with the major economic downturn in 2008, which was accompanied by widespread job losses. At that time, many people realized that they needed further education to improve their chances of landing employment. Even though the economy has picked up since then, adult enrollment has continued to grow year over year since 2014. Visualized below are the numbers behind adult college enrollments. Increasing competition. Older workers are faced with increasing competition from younger employees who are more educated in the latest technology. They feel the need to improve or update their education, especially in digital technology, to keep up with the latest trends and developments within their fields. Otherwise, they face the risk of career stagnation or being overlooked for promotion in favor of younger workers. Ease of access to education. The growth of online education has made it easier for people of all ages to enroll in degree or certificate programs. In addition, more and more of these programs have gained accreditation, making these qualifications readily accepted in the workplace. Job dissatisfaction. Many workers who are unhappy in their jobs are realizing that further education could be the key to enabling them to make a career change and improve their employment situation. Job loss. Older people who have been laid off by their employers may have exhausted all avenues to find another job. Further education to back up the practical experience in their chosen fields can significantly help their chances of landing another job. Career change. Veterans, in particular, and other demographic groups, such as stay-at-home moms, are looking to change careers and gain mainstream employment. Earning another qualification is the first step in making them more employable. Others are just extremely unhappy in their jobs and want an additional qualification to make a complete career change. Financial necessity. Many people in a later stage of life are forced by financial necessity to look for new employment or better-paying jobs. There may be many other reasons for adults to make the decision to go back to school. Whatever the reason, the undisputed fact is that enrollment of nontraditional learners is increasing. Finances. Adult learners may have legitimate concerns about how they are going to pay for their studies. Unlike many traditional students fresh out of high school, these learners are less likely to have parents or other family members who can financially support their studies. Lack of time. This is a very real perception by many adults who already face the challenge of balancing work, family, and other commitments. Trying to find the time to study as well may seem difficult. Lack of confidence. Adult students may have been away from the classroom for many years and lack confidence in their ability to excel. They could also fear that they may be left behind by fellow students. Social anxiety. Older students may fear that they won’t fit in with their classmates and may be ostracized or isolated. This is a challenge for people with poor social skills. Access to classes. Some adults may not have access to transport to attend traditional classes, while others may not have the facilities to access classes online from home. Lack of support. Starting out on a new study program can be worrisome for most people, but it can seem daunting for adults. They can benefit from a support system to help them overcome their concerns. These are very real challenges and fears that, if left unaddressed, can cause an adult to abandon all thought of pursuing further studies. Considering the genuine challenges facing adult students, colleges and other educational institutions should provide a robust system of ongoing support to address potential issues throughout students’ studies. In addition, many institutions provide counseling facilities and student support services to help these students overcome their initial concerns. Helping to meet financial needs. 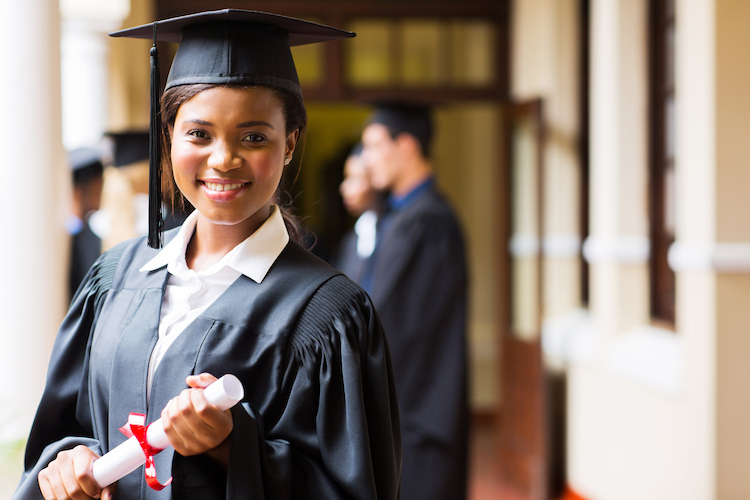 Many educational institutions have scholarships or grants to help deserving students meet the cost of their studies. Students may also have access to loans from government and outside financial institutions in many cases. Addressing a lack of confidence. Nontraditional students who have not studied for many years may have a legitimate concern that they will not be able to cope with the program workload. Many of them may not have the digital skills that are required for their particular program of study. Institutions should assess students’ abilities before they start a degree program and recommend that students bridge courses where applicable to help them cope. Helping to overcome anxiety. Counseling can help students overcome their fear of feeling too old for the class or being socially isolated. Counselors can identify strengths and make older students realize that their years of experience in the workplace can add immense value to the group and quickly grant them acceptance. Facilitating access to study programs. Many colleges and educational institutions offer online degree programs for students, making it easier for individuals who are working full-time to pursue an education. Some colleges offer blended programs, where students can attend traditional classes at schools when it suits their schedules and can also study online. Colleges may also be able to provide advice on financial assistance to enable remote students to purchase computers. Many schools, colleges, and universities are taking note of the rise in the number of adult students and are implementing these measures to meet their needs and address their concerns. With the projected year-over-year rise in nontraditional students, institutions are aware that they have to implement systems to support these learners and encourage enrollment by this sector. Adult students are termed nontraditional students by many of the organizations that track student enrollment statistics. Traditional students are generally those who enroll immediately after graduating from high school and are typically between the ages of 18 and 22. They attend schools, colleges, and other educational facilities full time and do not have major work or family responsibilities. Nontraditional students are generally older than 25, and many of them hold down a job, study part time, and have families to raise. 38 percent of undergraduates are older than 25. 58 percent of students work while enrolled in college. 26 percent are raising families. 40 percent attend school or college part time. Students of color are especially likely to be balancing college studies with parenting or work responsibilities. These statistics give a clear indication that adult students form a sizable part of the nation’s student body. It should also give you encouragement to note that almost 60 percent of students manage to balance their work with study commitments, and 26 percent do so while raising children. Flexibility. Online study programs offered in asynchronous formats typically enable you to work at your own pace, within provided time frames each week. You can schedule time for study at any time during your day to suit your lifestyle, including family responsibilities. Through mobile technology, online learning allows you to access the study program wherever you are and at your convenience. Study while working. This is probably the biggest benefit of signing up for online college courses. Because online classes typically have more flexibility than on-campus degree programs, you don’t have to resign from your job to pursue your studies. This is essential for working adults who depend on their employment income to fund their daily lives. Reduced costs. You don’t have to travel to classes as you would do in a traditional setting. Furthermore, the number of associated fees for online educational programs may sometimes be less than those charged to attend traditional classes at a school, college, or university. Studying from home or work also removes the need to pay campus room and board fees, or to find lodging near your school. Easy access to course facilitators. You may have been led to believe that an online study program will isolate you from course instructors; however, today’s digital technology enables you to have access to your lecturer, facilitator, or professor via a number of channels, including email, video, telephone, and chat groups. Easy communication with fellow students. Technology also allows you to connect with other learners through discussion forums, Skype, and chat groups. In summary, online learning has many benefits. It also enables you to have quiet time to yourself to concentrate on your studies or join a discussion at any time to interact with fellow students and educators. As an adult learner, the odds are definitely on your side. Take the first step today and enroll in a study program to relaunch your career. Are you ready to learn more about how you can start the process of going back to school for a bachelor’s, master’s, or doctorate degree? If so, then contact an enrollment advisor today.